Surveillance cameras will be set up on Del Playa, Pardall and Embarcadero del Mar to be used by the IV Foot Patrol. No cars will be towed on DP or Sabado as in previous years but it is strongly encourage that cars be moved. 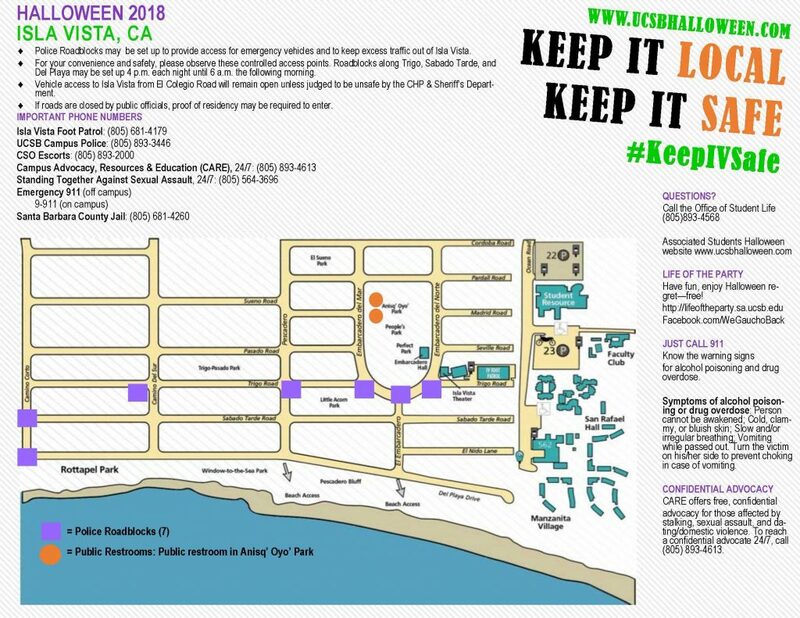 Vehicle access to Del Playa and Sabado Tarde will be restricted on October 26, 27 & 31. You will not be able to re-enter with your vehicle once you leave. 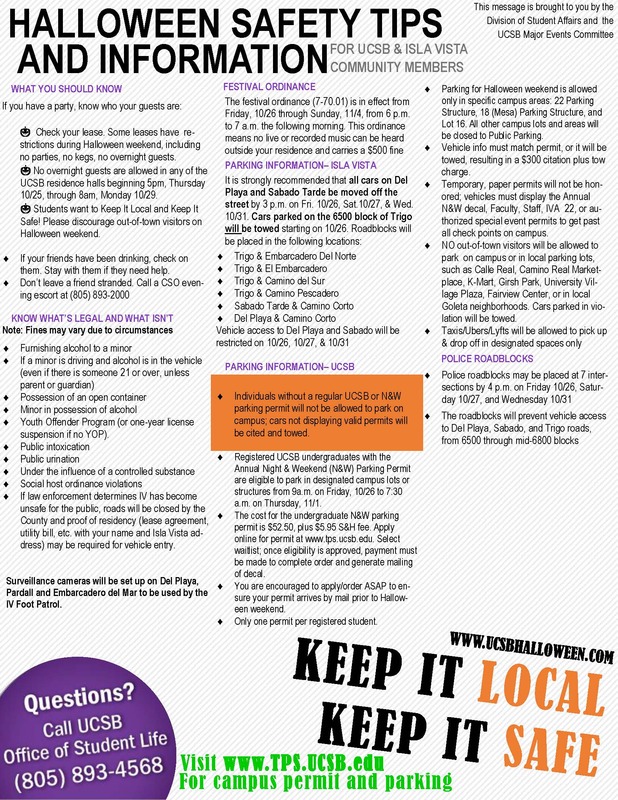 Festival Ordinance (Santa Barbara County Section 7.70.01) from October 26th until November 4th. This means that no amplified noise or music will be allowed between 6pm and 7am.